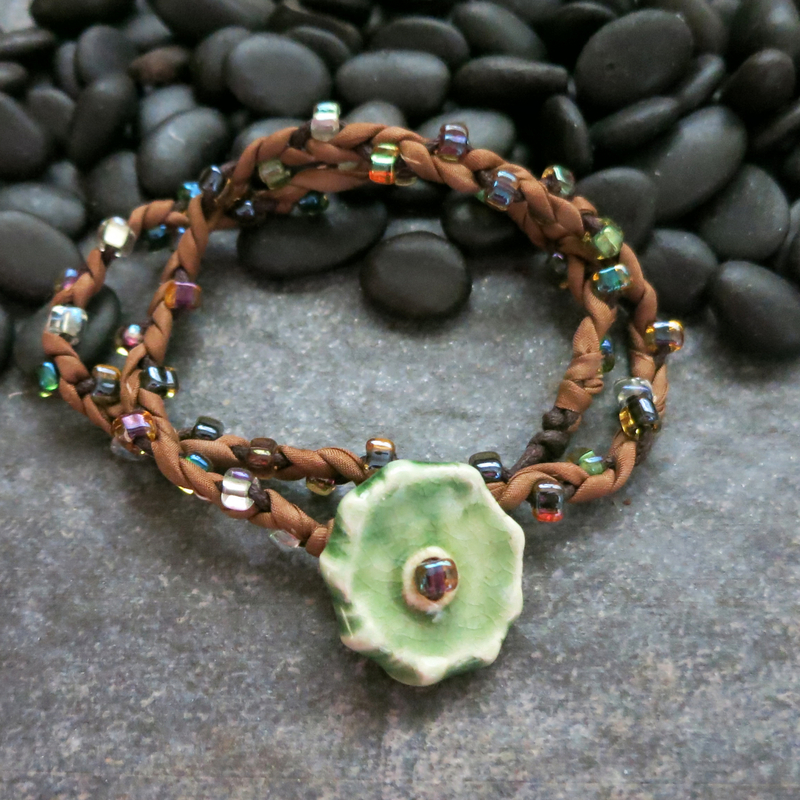 This handmade brown wrap bracelet will add a touch of boho flair to any casual outfit. Wrap bracelets look great alone or when layering several together. 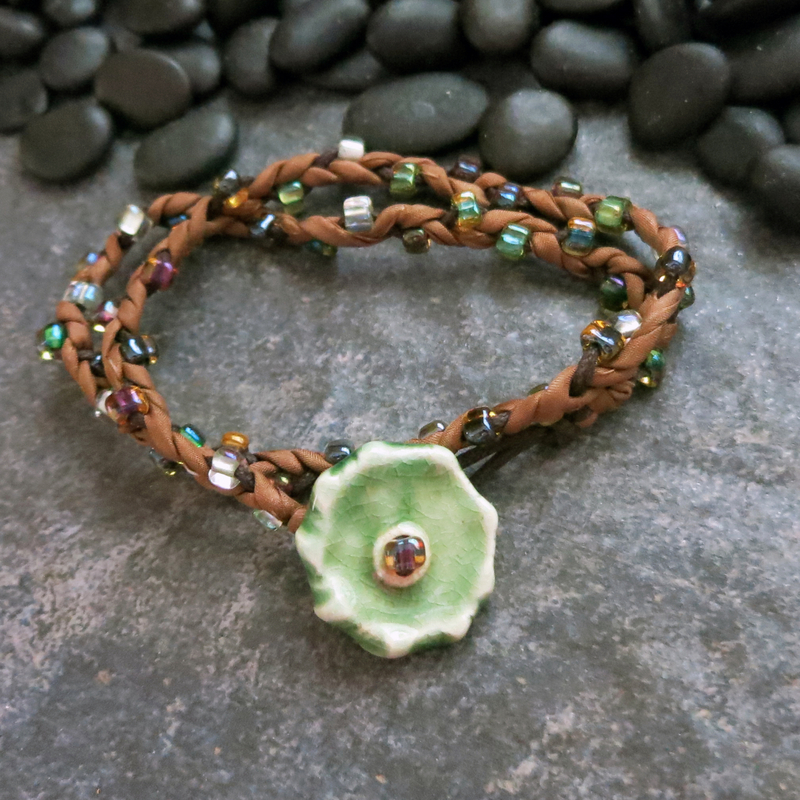 This bracelet features beads in several shades of green and dark purple that are woven on cotton cord and brown hand dyed silk. 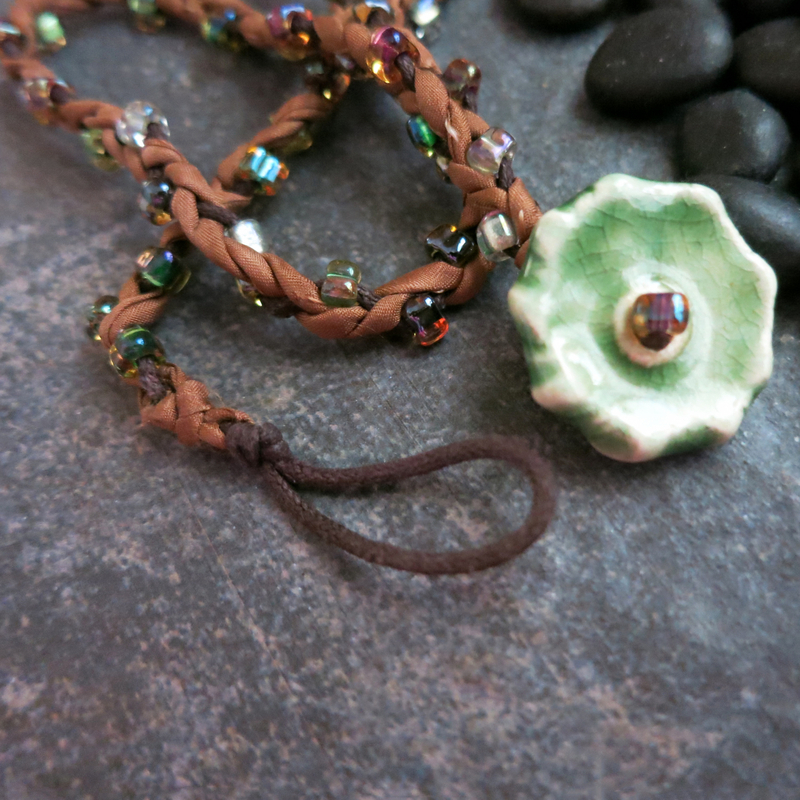 The bracelet wraps twice around the wrist and closes with a handmade ceramic button and loop clasp. I wove this bracelet while on vacation at a very remote beach on the Pacific side of Costa Rica. The last photo shows the bracelet on a piece of driftwood on the beach. I hope that some of my vacation happiness is woven into this bracelet, along with the beads and silk. May it bring you a bit of happiness too.